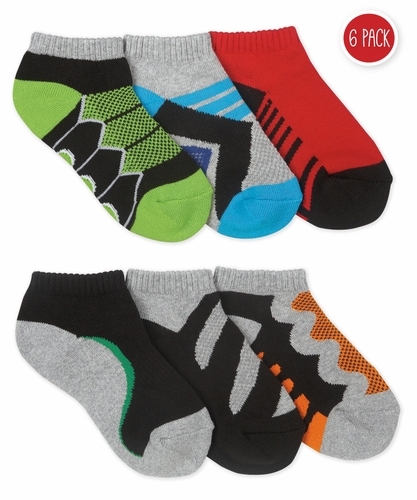 These tech sport socks have many features: half cushion foot, arch support and mesh for breath-ability. Price shown contains 6 pair. See style 2865 for the girl colorway of this style!